Take your teaching to the next level. 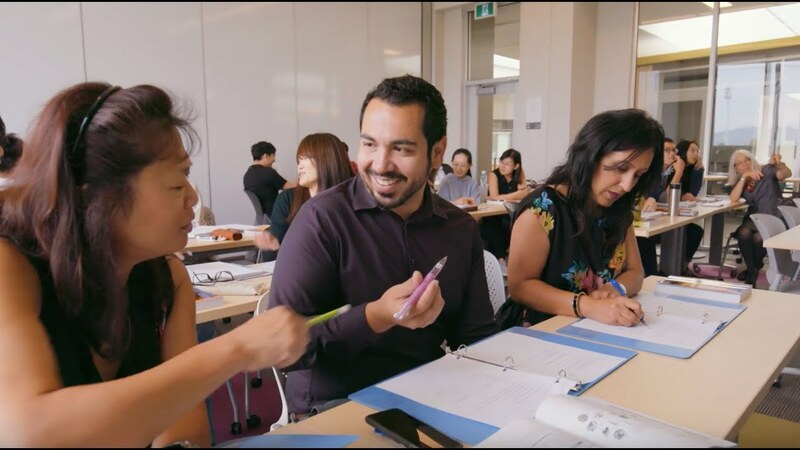 International Education in the Division of Continuing Studies at UVic has offered non-credit professional development workshops, courses and programs for international pre-service and in-service educators for over a decade. Working in collaboration with international partners, we offer a Professional Specialization Certificate in Teaching English as a Foreign Language, as well as customized programs for educators who work in early childhood education, kindergarten to high school and post-secondary education. See what makes Continuing Studies at UVic an ideal learning environnment! Domestic students interested in teaching abroad International students and teachers (ECE, K-12, Post-Secondary) International students and teachers (ECE, K-12, Post-Secondary) International postsecondary instructors looking to develop skills to teach their subject areas in English. Customized International Education Programs are designed to suit the schedules, interests and needs of educators coming from diverse teaching contexts around the world. These programs provide the opportunity for international educators to grow professionally through learning about a wide range of education-related topics from a Canadian point of view. Customized International Education Programs are designed to suit the unique schedules, interests and needs of pre-service and in-service educators coming from diverse teaching contexts around the world. The PSC in TEFL is a non-credit professional development certificate traditionally offered as a three-week immersive summer session on campus at the University of Victoria, complemented by nine weeks of facilitated online learning when international teachers return to their own country. Travel the world. Make money. Change lives. TEFL brings a world of teaching opportunities within reach English is one of the most widely spoken languages in the world. It's the language of international news, business and government. Wondering if it’s worth taking a TEFL course? When I was a recent undergrad, I wanted to see the world. So, I took a job teaching English in Japan. UVic's international community is reaching beyond new borders as host to educators in the Panama Bilingüe program, a visionary professional development initiative launched by the Panamanian Ministry of Education. Stephen Frampton, who has taught in Mexico, Myanmar and Morocco, discusses his experiences teaching English as a foreign language. Are you an international student living in Victoria and looking for a way to use your English skills to teach abroad? We have a fantastic professional development opportunity for you this summer! "The word 'education' has nothing to do with filling people up with knowledge. The root comes from the Latin 'educere' meaning to 'bring out'. That’s what true education is. If you can bring out belief, motivation, dignity, hope, purpose, you are bringing out core values on which they can build their life." Join us Wednesday, Aug. 3 as we host an info session on our Teaching English as a Foreign Language (TEFL) course. We'll discuss what you can do and where you can go with a TEFL Certificate of Completion from the University of Victoria.